Find out which is better for you and the environment. Thinking about going Hybrid but want to know the difference between a Toyota Hybrid and a Mild Hybrid? With a lot more "hybrid" models on the market, we have received numerous questions from people wanting to know what the difference is between a Hybrid and a mild Hybrid. It's a good time to learn more about your options and there has never been a better time to make the move to Hybrid as this 191 we are making the switch to Hybrid even easier. You can UPGRADE TO HYBRID FOR LESS with Toyota Finace, and avail of our Trade-In, Trade-Up booster of up to €3,000 when you trade in your old diesel model. 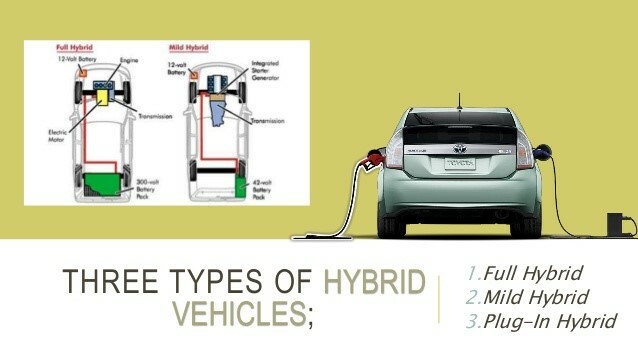 So if you have any questions about the differences between Hybrid/ Mild Hybrid and EV, let us try to answer them here. A mild hybrid has an oversized starter motor that turns off the engine when the car is coasting, braking or stopped, then restarts the motor quickly and seamlessly. ...Mild hybrids don't have the same hybrid drivetrains (electric motors that start the vehicle) as a Toyota Hybrid. This means that they don't have the same battery storage or the same fuel economy as full hybrids. In ‘mild hybrids’, the amount of electric power that drives the wheels is limited. A "mild hybrid" won’t normally drive on electric power alone, but a small electric motor can be used to fill in the gaps. These systems are cheaper than ‘full hybrid’ models but have a much smaller benefit it terms of emissions. Our Toyota Hybrids are SELF-CHARGING. Up to 50% of the time you are driving in electric mode, and yet you will never need to plug one in to re-charge it as our Hybrid vehicles recycle the energy most cars waste. The battery charges itself through the engine in normal driving and recycling energy when you brake. Electric vehicles, on the other hand, are fully electric, meaning they don't use any gasoline. ... But usually they have more room for batteries, since they don't have to make space for the gasoline engine. That means EVs offer a longer electric-only range than plug-in hybrids. Electric vehicles have a number of disadvantages, including the fact that you need to ‘charge’ an electric vehicle, which takes far longer than filling a tank of petrol or diesel – usually several hours in comparison to a couple of minutes. Some electric cars can be half-charged in a shorter time, but this will ordinarily be around 45 minutes. During this time, the vehicle must be physically connected to a plug socket, which makes EV ownership difficult for a lot of buyers unless you own a driveway or have a charging point at work. In contrast to a full EV vehicle, the Toyota Plug In Prius runs on petrol and electric. Should you choose, it can be charged off the national grid - charging the car’s batteries and enabling some electric-only range, usually between 20 and 40 miles. This reduces the amount of petrol used over longer journeys, in turn reducing the cost per mile as well as the overall exhaust emissions of the car. When used correctly; there is no requirement to plug the car in (unlike with electric cars) and many owners choose not to. Twenty years ago, Toyota launched the hybrid revolution. Few believed. Yet now there are over 10 million Toyota hybrids on our roads, and a wider range of Toyota self-charging Hybrids available in Ireland than ever before. We started the hybrid revolution, inspired by the idea of burning less fuel and a dream of cleaner air for our children to breathe. While the world races to catch up, we race ahead to a future where harmful emissions will be a thing of the past. For our children’s children. If you have been thinking of upgrading to a Hybrid, then contact the Hybrid experts. Call Crossing son 045 897589 to find out more. The Future is Hybrid. The Future is Here.